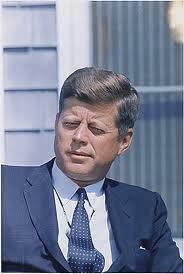 John F. Kennedy, United States president from 1961 to 1963, was one of the best-known people with Addison's disease. In people with Addison's disease the adrenal glands are being attacked by their bodies. A lot of secrecy surrounded Kennedy's health while he was president. He was possibly one of the first Addisonians to survive major surgery when he had back surgery. Eunice Kennedy Shriver, one of John F. Kennedy's sisters, was also believed to have Addison's disease. Kennedy’s early medical records show that he had constant infections during infancy, and scarlet fever, joint pain, headaches, and fevers. Afer this his health continued to decline. Myofascial describes the connective tissue which surrounds muscle, ligaments, joints and nerves. The myofascia in the normal healthy state, is relaxed as it can move without restriction. In injuries, stress and inflammation the fascia does not relax and becomes tight and develops trigger points and pain. The trigger point is a point of tenderness within each muscle and touching this point, in a certain way, causes referred pain that reproduces the patient’s symptoms. Myofascial pain is usually described as a dull deep aching sensation which is worsened by use of the muscles. Myofascial pain is very common in fibromyalgia sufferers. More information and support for people with Addison's Disease. Owen, David (May 2003) "Diseased, demented, depressed: serious illness in Heads of State". Thank you for this info on Addison's - my sister's husband has it and I want to find more about it. I will check these links. Hi Angie, sorry I missed your comment but I hope the info on Addison's disease helped and that your brother-in-law is doing well. I did not know this about JFK> I guess if you lived in the US you might know about it, interesting the myofascial connection. I have other autoimmune conditions that affect the muscles and myofascial works great for me... pity it is so expenxsive.